The Senate voted today on whether to stop the Democrats’ filibuster of the Pain Capable Unborn Child Protection Act, legislation that would ban abortions after 20 weeks — as neither Congress nor state legislatures can vote to ban all abortions under Roe v. Wade. The bill highlights how unborn babies feel intense pain when they are killed in abortions. Fifty-one senators (forty-eight Republicans and three Democrats) voted to take the bill up for debate, but 60 votes were required. (See vote tally at end of article). Unfortunately, because Republicans don’t have 60 votes in the chamber to overcome the filibuster, Democrats successfully stopped the bill. The vote came after the White House indicated President Donald Trump would sign the bill into law. Leading pro-life advocates blasted Democrats for preventing passage of the late-term abortion ban. “Americans should be outraged that pro-abortion Senate Democrats refuse to protect unborn babies who can feel pain. An overwhelming majority of Americans support this bill, including 56% of Democrats and 56% of those who identify as ‘pro-choice’,” said Carol Tobias, president of National Right to Life. Jeanne Mancini, President of March for Life, said, ““While we are grateful that this was brought to a vote, it is disappointing that the U.S. Senate could not pass the Pain Capable Unborn Child Protection Act today, a bill that President Donald Trump specifically called upon Congress to bring to his desk at the 45th annual March for Life. “This bill would have limited most late term abortions to protect approximately 12,000 unborn children every year. For over a decade, polling has shown that the large majority of Americans – including those who identify as pro-choice – would limit abortion to, at most, the first three months of pregnancy. It is a disgrace that our Senate has once again failed to pass a bill that reflects the hearts and minds of the national pro-life consensus,” she added. Kristan Hawkins, President, Students for Life of America, called for a change to the filibuster rules. “Pro-life Americans would finally have a groundbreaking victory for life in the U.S. Senate if the vote passed with majority rules as it should. It’s time for a rule change. Instead, extremists in the Senate can block the desires of more than three out of four Americans who support real limits on the deadly abortion procedure,” she told LifeNews. President Trump condemned late-term abortions and supported the bill during his March for Life address. Noting the 45th anniversary of Roe v. Wade, Trump lamented that the United States is one of only seven countries in the world that allows elective abortions after 20 weeks. The House has already approved the legislation but Democrats are using a filibuster of the bill in the Senate, requiring it to get 60 votes to move forward, to stop the bill. In the House, the vote for the Pain Capable Unborn Child Protection Act broke down on mostly partisan lines with Republicans supporting the ban on late-term abortions and Democrats opposing it. The House approved the bill on a 237-189 vote. During the House debate, Smith talked about the gruesome nature of late-term abortions. Currently, 16 states have pain-capable unborn child protection laws in effect, Kentucky being the most recent. Other states are considering similar bills. Together, these laws potentially are saving thousands of babies from painful, late-term abortions. There were at least 5,770 late-term abortions at or after 21 weeks of pregnancy in 2013 in the U.S., according to the Centers for Disease Control. Another approximate 8,150 abortions took place between 18 weeks and 20 weeks, the CDC reports. Though abortion advocates deny the science of fetal pain at 20 weeks, researchers have fully established fetal pain at 20 weeks or earlier. Dr. Steven Zielinski, an internal medicine physician from Oregon, is one of the leading researchers into it. He first published reports in the 1980s to validate research showing evidence for unborn pain. At 20 weeks, the unborn child has all the parts in place – the pain receptors, spinal cord, nerve tracts, and thalamus – needed for transmitting and feeling pain. 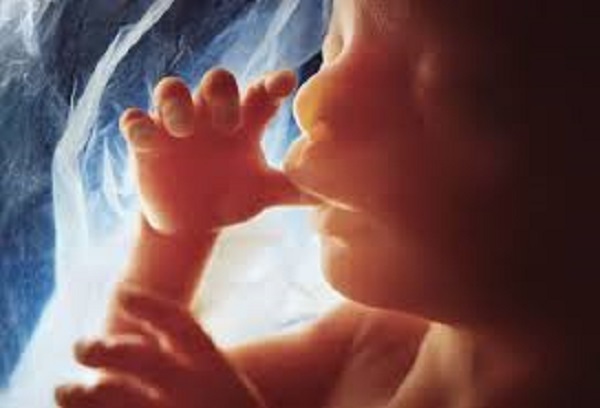 The unborn child responds to touch as early as week 6; and by week 18, pain receptors have appeared throughout the child’s body. This bill is based on model legislation developed by National Right to Life in 2010, and is in effect in Alabama, Arkansas, Georgia, Kansas, Kentucky, Louisiana, Nebraska, North Dakota, Ohio, Oklahoma, South Carolina, South Dakota, Texas, West Virginia, and Wisconsin. The Pain-Capable Unborn Child Protection Act is sponsored by Senator Lindsey Graham (R-S.C.), along with 46 cosponsors, and has been one of the right-to-life movement’s top legislative priorities. The operative language is identical to H.R. 36, approved by the House of Representatives on October 3, 2017. This legislation extends general protection to unborn children who are at least 20 weeks beyond fertilization (which is equivalent to 22 weeks of pregnancy—about the start of the sixth month).